Home > Business > Marketing > Email Marketing > Salesforce Marketing Cloud Email Studio, Social Studio And More! Does your company already use Salesforce? If so, their email marketing solution could be a perfect fit. Salesforce Email Studio is just one component of a suite of sophisticated marketing tools, called Salesforce Marketing Cloud. Salesforce Marketing Cloud’s approach to email marketing is innovative and differs a great deal from what other providers offer. Its products are designed to help you drive customer engagement, increase sales and increase the return on marketing investment. But will it help you increase your bottom line? 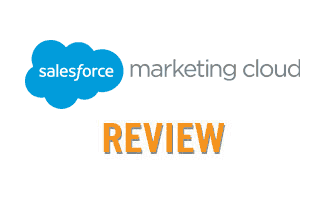 How Do Users Rate Salesforce Marketing Cloud? Is Salesforce The Right Marketing Service For You? Salesforce Marketing Cloud offers the most sophisticated and technologically advanced email marketing (and more) services. While this takes away a simple, easy-to-use interface, you could gain a better ability to draw customers in and keep them engaged. Here’s a brief run-through of how this software suite can help your company’s marketing efforts. Salesforce’s email marketing solutions allow you to build direct relationships with your customers. You can create personalized content for each customer and keep track of your customers’ profiles with unlimited data storage. Use the drag and drop tools to create emails and then use segmented lists to target each message to specific types of customers. 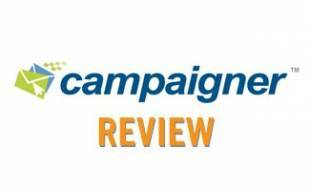 Track your campaign results to accomplish the goals you have set. Journey Builder allows you to personalize the experience for each of your customers. This interface lets you plan, personalize and optimize each interaction you have with your customer. You can even set goals to determine which content has the best return on investment. You can also choose which channel to deliver the campaign, perform split data testing to see where your campaigns perform best and make adjustments accordingly. Mobile Studio allows you to send text messages with promotions, updates, surveys and more. Individuals have numerous mobile devices at their hands so optimizing your mobile marketing plans is important. Social Studio allows you to make stronger connections with your customers through social media platforms, create different posts for different social channels and then look at how each is performing through the Social Studio. Salesforce also has a mobile app that allows you to view progress across all social channels, schedule posts with Buddy Media, and create engaging content to interact with your customers. Advertising Studio helps you manage all of your social media advertising needs. You can manage hundreds of campaigns at once to reach your audience at the right time. This helps you drive conversions and obtain more revenue. You can keep track of your highest performing ads and runs them more often to make the most of your budget. Data & Analytics helps you grow customer engagement. Find out what your customers like and use this info to build your audience and outreach. You can also save time and money by taking a deep look at your Data & Analytics to create more effective campaigns. Pardot is B2B marketing automation by Salesforce that can help you increase leads, boost sales, be more productive — and transform your business. You can automatically send emails and perform marketing tasks based on triggers including time, user interactions and other custom parameters. Call or complete their online email form. Unlike other email marketing service providers, Salesforce Marketing Cloud provides no pricing information online. 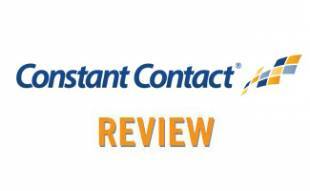 They offer a number of different packages beginning with their Basic plan, and each step-up plan includes all of the features of lower tiered plans. They indicate on their website that you can customize bundles based on your business needs, but it’s not clear how many specific features can be purchased a la carte. We can tell you all about Salesforce’s email marketing services but in the end you want to know how real customers feel about the company. So here are some testimonials from its users. Recent research found that personalizing emails improves open rates by 6.2%. Below is a video from Salesforce about five email trends to help your emails’ success rates increase. Is Salesforce The Right Marketing Solution For You? When choosing a comprehensive online marketing solution, there are a number of factors to take into consideration. Dig in deep to truly understand your company’s unique needs, budget and technical skill level. This will help you to determine not only whether Salesforce is the best fit for you, but also which elements of their service are right for you. 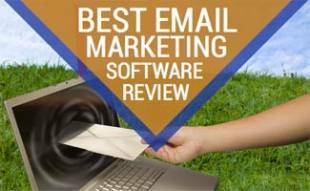 For a rundown of the industry leaders in email marketing, check out our full comparison of Email Marketing Software.